With a Brexit black hole to fill, and the prospect of further enlargement looming, the EU’s post-2020 budget is set to be one of increased expenditure and excess, writes Robert Bates. In the coming months, the EU will begin the intense process of planning for the next Multiannual Financial Framework for the post-2020 period. The talks will undoubtedly be riddled with internal disputes, and polarised along the battle line of net contributors versus net beneficiaries. We have already had a taste of this acrimony following German Chancellor, Angela Merkel’s suggestion of EU funds being linked to migrant integration, rather than the relative wealth of each Member State. This unpalatable suggestion was quickly rebuked by several Eastern European countries, such as Poland and Hungary – who have already been adversely affected by the EU’s migration policy – and demonstrates how politically fraught the talks have the potential to become. The loss of Britain’s substantial contribution to the budget has set the tone for the entirety of the discussions, with a financial black hole set to emerge unless action is taken. Faced with the choice of either streamlining the EU’s expenditure by reducing the number of unnecessary and wasteful projects or increasing the contributions made by Member States, it seems the EU is reverting to its age-old solution: more Europe. Just this month MEPs have voted in favour of a motion seeking to increase the percentage of Europe’s GDP given to the EU to 1.3%, totalling a proportional rise of 33%. While Commission President Jean-Claude Juncker has also stated: “we need to agree first on objectives, from there we will be able to see how to provide financial means”. Such a course of action would move the European project in a worrying direction. 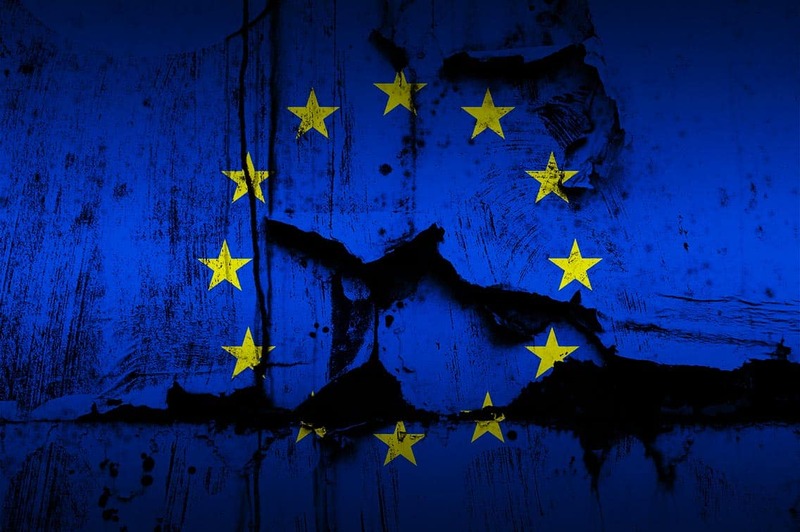 Until now the fixed and politically untouchable limit of 1% of Europe’s GDP has meant innately frivolous Eurocrats have been forced to operate with a finite set of resources. By changing the equation so that funding must now be adjusted to meet objectives, the EU27 run the risk of seeing more of their money sent to Brussels to fund an increasingly ambitious policy agenda. Defence, the digital revolution, youth policies, climate change and migration were all cited by the Commission in January 2018 as areas where increased resources should be spent. The Commissioner in charge of such matters, Günther Oettinger, clearly believes these lofty objectives can be sustained by increasing the EU’s sources of revenue, claiming: “if Europe is to tackle new challenges, the money must come from somewhere” – European taxpayers! In addition to these policy areas, the notion of further enlargement has begun to rear its head yet again. The candidate states of Serbia, Bosnia and Herzegovina, Albania, Montenegro and Kosovo are being increasingly spoken about as future EU members. At no time was this more apparent than in Juncker’s 2017 State of the Union speech, where he proclaimed “the European Union will be greater than 27 in number” and he reiterated a desire to “maintain a credible enlargement perspective for the Western Balkans”. This move would have profound impacts on the budgetary obligations of the existing Member States, with a particular burden being placed upon the shoulders of the wealthier Western European nations. As we saw in the 2004 enlargement, when several poor Eastern European countries joined the bloc, the existing 15 countries were forced to stump up an additional €11.8 billion in commitments to help with their accession. Any such future enlargement would serve to only further escalate the bill the likes of Germany and France will be expected to pay. However, this march towards ever-increased EU expenditure is further exacerbated by the lacklustre manner in which the EU’s finances are handled. The bloc’s own auditors have consistently failed to give the Union’s accounts a clean bill of health for the last 20 years, and money is continually lost down metaphorical sofas or syphoned away to sustain poor quality projects. With money slipping through the cracks – lost to “ineligible activities” or “serious errors in public procurement” – the EU finds it all too easy to over-commit the funds it has available – supporting projects across the Continent without a semblance of fore-planning. Accompanying this is an exceptionally high level of “material error” which sees money simply disappear without explanation. This point has been highlighted by former EU Chief Accountant Marta Andreasen, who publically revealed the internal shadiness surrounding budgetary matters. At a time when Eurocrats are demanding the Member States increase their contributions, perhaps it would make more sense for them to ensure the existing budget is streamlined and works effectively! Thankfully, the Great British Public voted to end the days of our vast contributions to the EU coffers, but one thing is likely to become increasingly clear over the next few months: the EU is in desperate need of our £40 billion Divorce Bill. It is vital the Government bears this in mind, and if they are not offered a bespoke free trading arrangement then, they must be prepared to Get Britain Out without a deal. 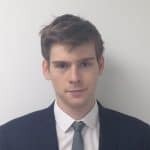 Robert Bates is a Research Executive at cross-party grassroots campaign Get Britain Out. Previously he has completed a Master’s degree in European International Politics at the University of Warwick.